During the Ice Cream Social PTSA will be on the playground so swing by and say, “Hello!” We will be signing up families to be PTSA members (NO volunteer or meeting requirements! ), processing student activity fees, and sharing opportunities for holiday photo sessions with our school photographer Brandon J Scott Photography. Children are not required to attend Back to School Night, however, they are welcome. Please note, we will NOT provide any formal childcare outside on the playground or inside the school during the 5:30 p.m. or 6:15 p.m. sessions. Therefore, please have an older sibling or adult chaperone your child(ren) during those sessions, bring them inside with you, or you can leave your student at home. We are looking forward to seeing you! If you were a part of our Online Store and Directory last year you should have already received a link to re-confirm your information. If you’re new to the system, please sign up using this link: MySchoolAnywhere. It’s an easy to make school purchases and a great way to get contact information for classmates when you’re looking for playdates and sending party invitations! This database is confidential and is used only by the PTSA for school sales – such as school supplies and yearbooks. The parent directory is OPT-IN only. All of your information remains private without your release. Join us for our annual Direct Giving Party, which will be held at the school this year. 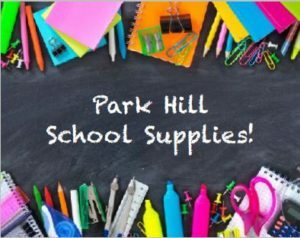 This is your opportunity to donate money directly towards your teacher’s wish list items, which will be used during the 2018-19 school year. We also will be hosting our annual Park Hill Elementary Outdoor Movie Night, featuring more food trucks, bounce houses, music and a movie under the stars! This year the student activity fee for each student, ECE through 5th grade, is only $40 per student. You may pay this fee with cash or check in the school office or with a credit or debit card in the PTSA school store at MySchoolAnywhere. 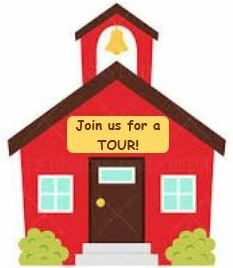 This fee pays for the cost of field trips which includes the cost of entrance fees, the yellow school bus, or the trip on RTD. Please take time to read through the attached Park Hill School Family Handbook for the 2018-2019 School Year. It contains a wealth of information about school hours, dress code, school lunches, attendance and absenteeism, our CSC, school conduct, enrichment, homework, field trips and excursions, PTSA, and information about our school nurse and medication at school. **We have an important change to announce for the upcoming school year. We will no longer be allowing birthday parties/celebrations to take place during the school day at Park Hill. This includes bringing treats to the classroom and to the cafeteria. We have implemented this policy for two primary reasons: 1) It can be a disruption to our learning environment and class instruction, and 2) we intend to be mindful of all of our students with allergies and/or specific dietary needs. hours, it will not be the responsibility of the school. 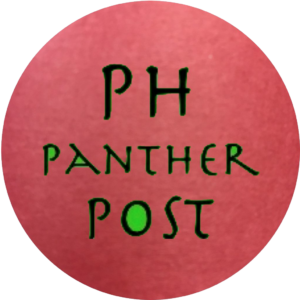 Girls On The Run – We still need a volunteer coach!! We are so excited to start another season of Girls on the Run, but to make it happen, our team is in need of volunteer coaches. As a coach, you will inspire girls to have a lifetime of self-respect and a healthy lifestyle through an innovative program that combines training for a 3.1 mile run/walk race with a fun, health education lesson plan. You must be available once a week from September 10 through November 12. If you are interested in this opportunity to empower young girls or have questions, please email me, site coordinator, Kitty Horeis at kitty_horeis@dpsk12.org or visit www.girlsontherunrockies.org or www.girlsontherun.org for more information. Registration was early this year and started August 13 at 9 am. Girls on the Run will be on Monday and Wednesday from 2:45 pm to 4:15 pm from September 10 to November 12. 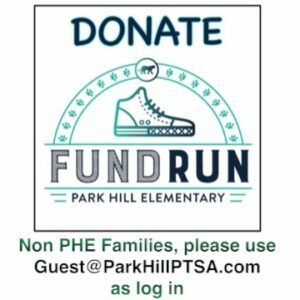 This program is separate from Park Hill’s regular enrichment programs and will begin before the enrichment handouts are emailed out. Please do not let the cost prevent your girl from participating. We can easily provide you with a scholarship. We know your kids were active this summer! We want to honor your kids being physically active and taking care of their health! The first bulletin board in the gym this year will be pictures of your child doing something active this summer; going on a hike, riding a bike, swimming, etc. Please send a picture of your kid, no bigger than a 4″ by 6″ or it can even be printed on paper from a printer. They can just bring their picture the first or 2nd day of their PE class. 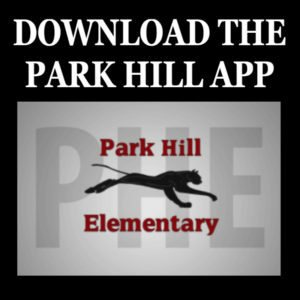 Since we will have 710 students this year at Park Hill, there is no guarantee that you will get the picture returned to you, so make it something you can part with. Also, this is a totally optional activity. Kids love to see pictures of themselves so why not make it something that promotes being active? !